Andrea, Savannah, and the rest of our lovely calendar models meeting and greeting yesterday at the Rod and Custom Auto Show. This weekend is one of my favorites of the year. I love the atmosphere at the Rod and Custom Show with it's "summer's almost here" collection of cars. Met some new folks and saw some old friends. Many plans were made for cruises to various towns, with the hope that everyone's cars will be running at the same time! We had a 2-hour marathon Calendar signing, and two of our models hands actually fell off! 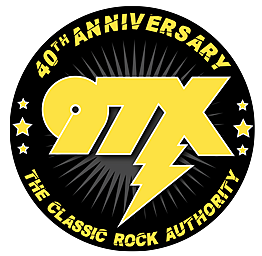 Thanks to the 97X staff that was out there keeping their cool. Marissa, Mac, Joan, and Brad. Klinger and I had a long night setting up the giant video screen, but we were laughing the whole time with Rich from the Expo center. Michaels and I have a great time joking around with our extended "family" of listeners, dysfunctional as we are. Take part of the day today and head over to the Expo Center in Rock Island to check it out, and we'll see you out on the streets this Summer!